Recently, we told you about that another cool feature that you have access to in the commercial version of Jelastic, Public IPv4. With a single click you access to a number of cool new capabilities. One of the most important opportunity you get with this feature is the ability to work with your databases remotely and import and export dumps from your computer without having to login to our dashboard. So here are some instructions on how to do this. A little reminder: public IPs are available only for paid users. The instructions below are completely suitable for MariaDB too. 3. 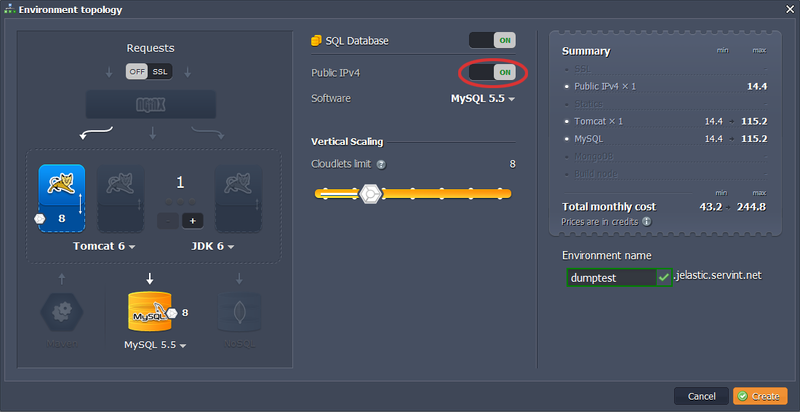 In the Environment Topology dialog, pick your application server (for example, Tomcat 6) and MySQL as the database you want to use. 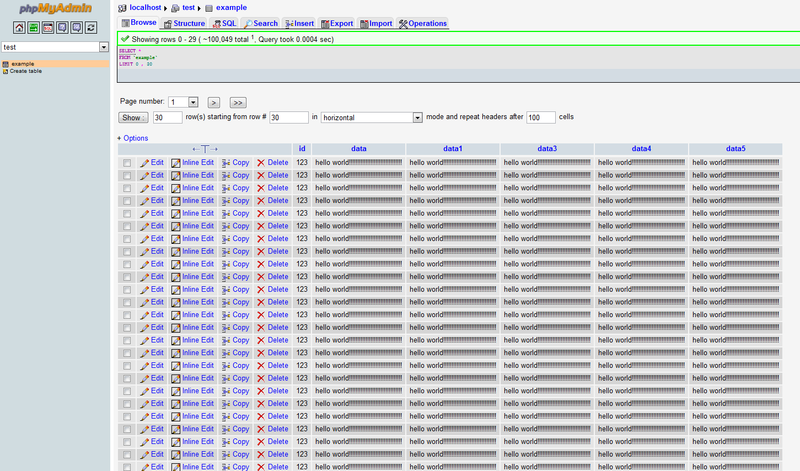 Switch on Public IPv4 for MySQL. Then type your environment name, for example, dumptest. 4. Click info button for MySQL and you’ll see your Public IP in the end of the dropdown list. 1. 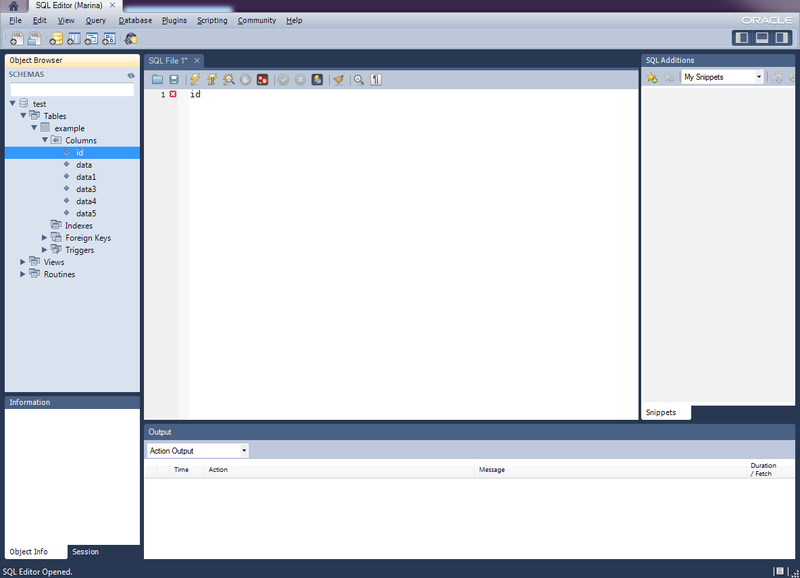 Create a new open connection to start querying using any desktop client for MySQL (we’ll use MySQL Workbench as an example). 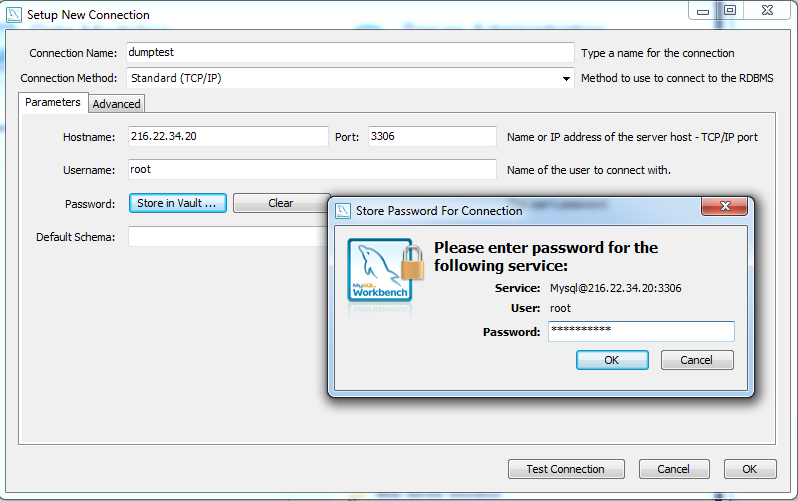 Specify the connection name, enter the host name (your Public IP), port number (3306), username and password (when you created the environment, Jelastic sent you an email with credentials to the database). 2. Now you can start querying. 1. 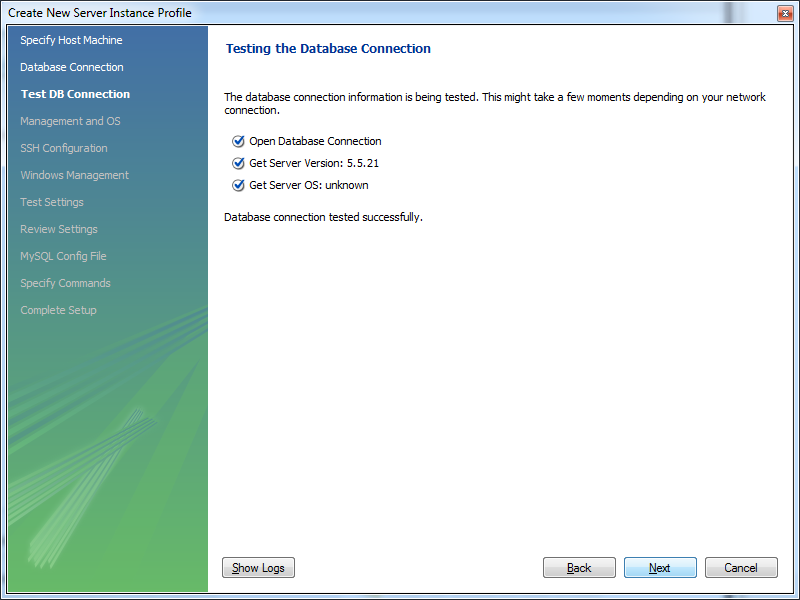 Create a new server instance using any desktop client for MySQl (we use MySQL Workbench as an example). 2. 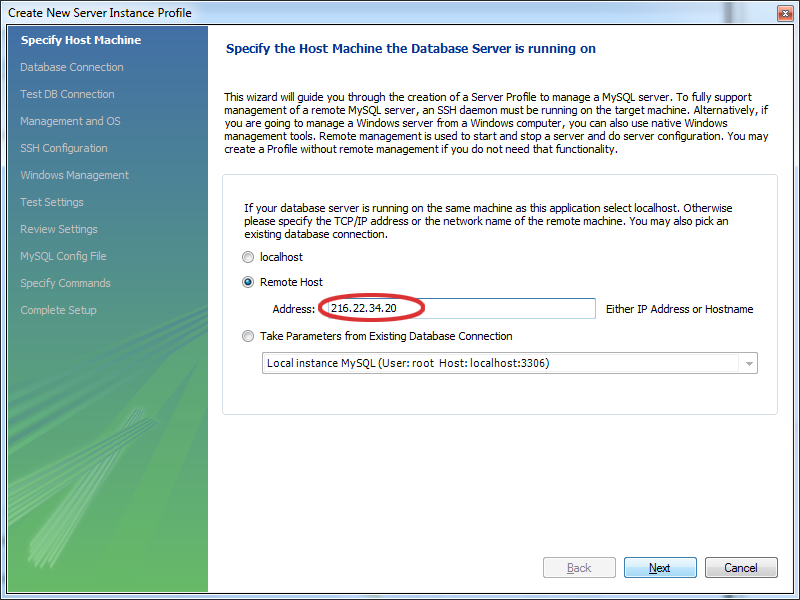 Specify your host machine (just paste your Public IP into the address field) and click Next. 3. 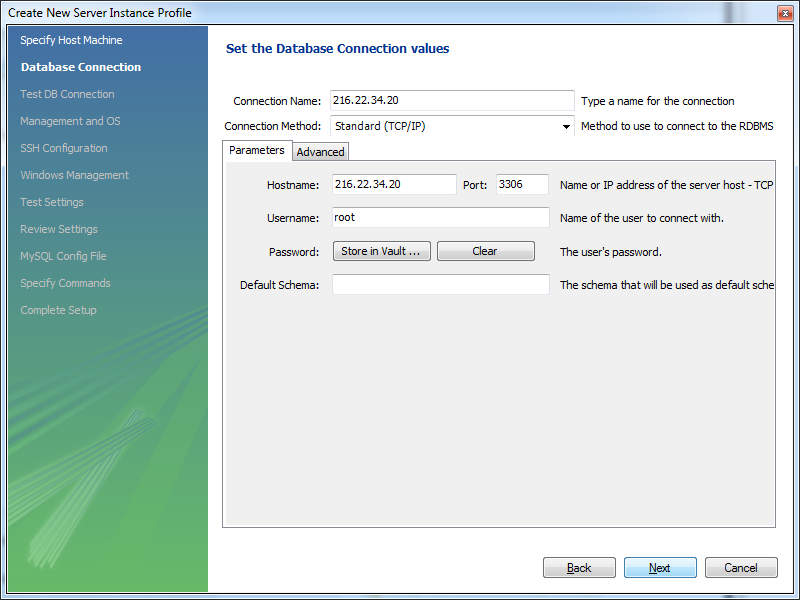 Set the database connection values: IP address, port, username and password (when you created the environment, Jelastic sent you an email with credentials to the database). 4. Then your database connection will be tested for a couple minutes. 5. 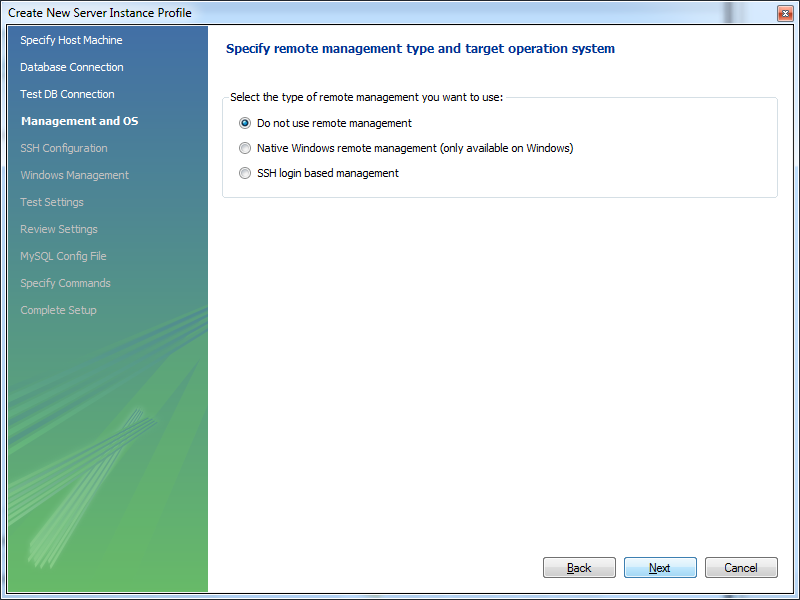 Set the type of remote management you want to use. 6. 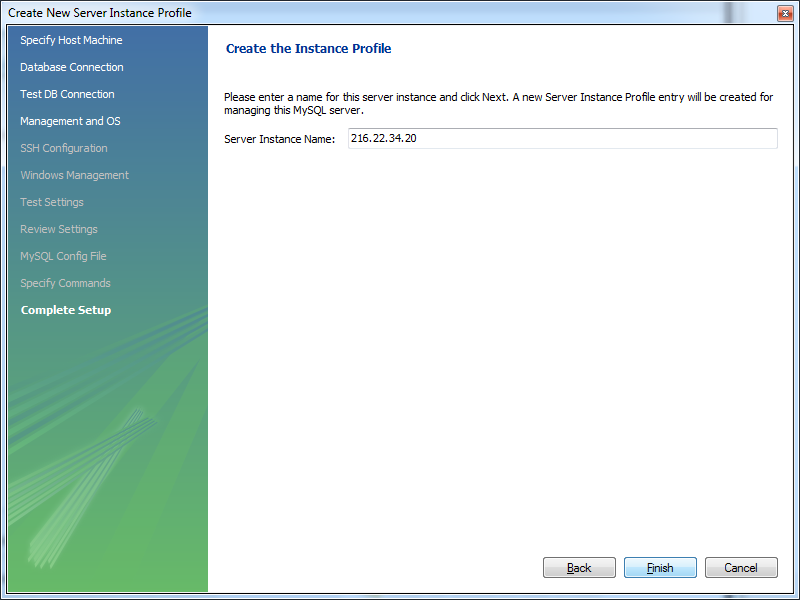 Enter the name for your server instance. 7. 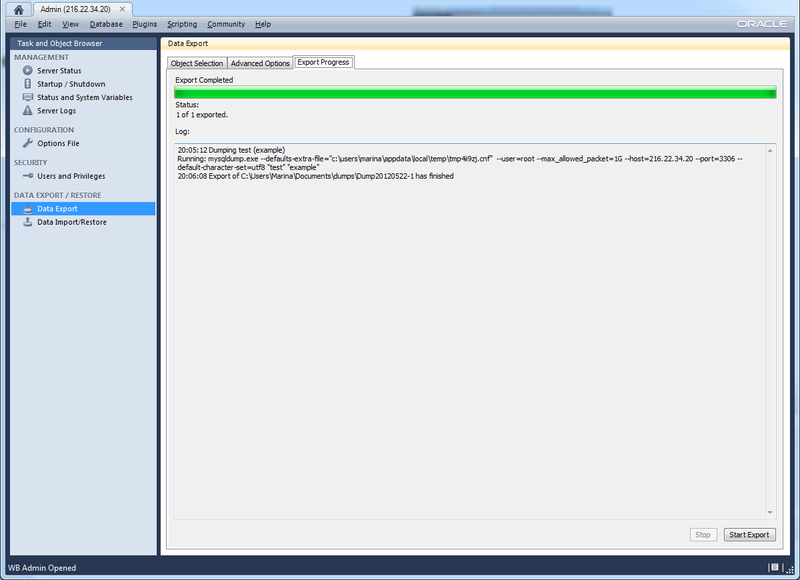 You should see your server instance is successfully created. 8. 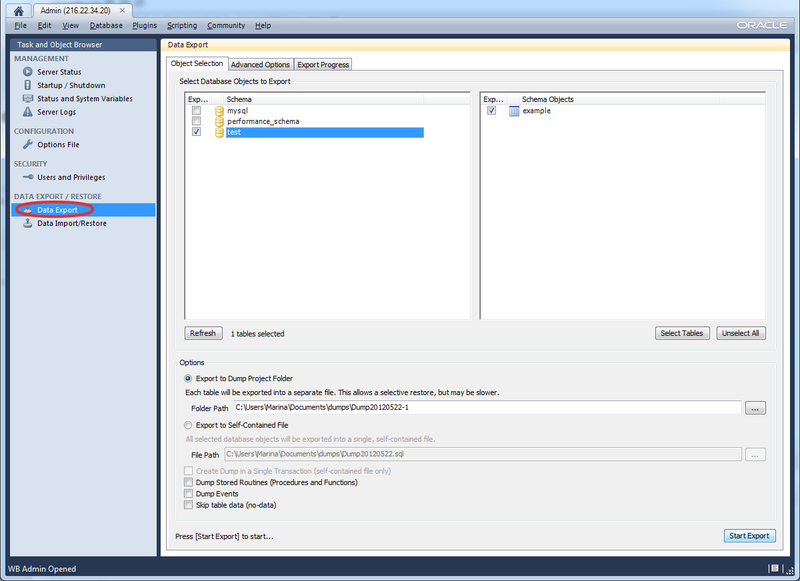 Open your instance and pick Data Import/Restore and choose the dump you want to import. 9. 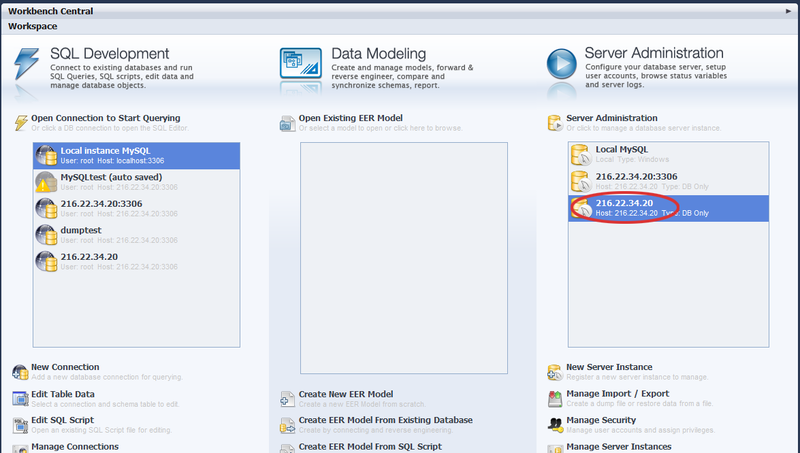 Go back to Jelastic dashboard and open MySQL in a browser. Using the credentials, which Jelastic sent you, sign in into admin page. Select test, click on example and you’ll see your imported dump. 1. 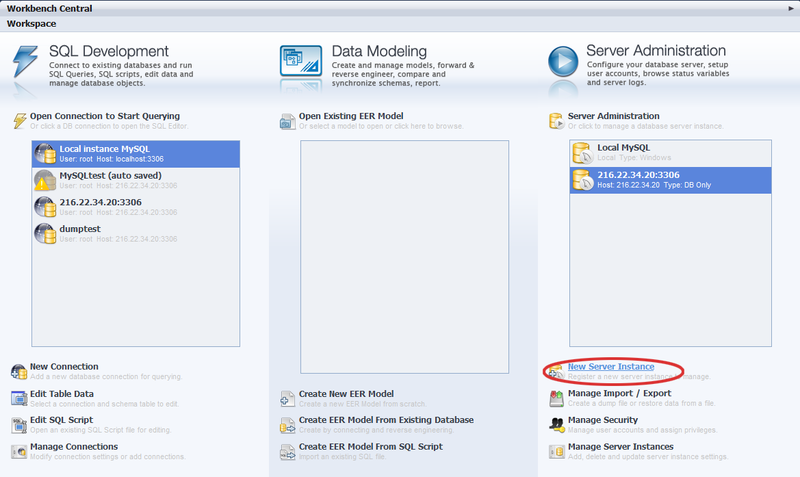 Open the server instance you have created earlier in your desktop client and pick Data Export and select database objects to export. Specify the path to the directory, in which you want to export the dump. 2. The export process can take several minutes, depending on the size of exported data. Your dump file will be in the directory, to the path to which you have specified. We hope you are enjoying using Jelastic. 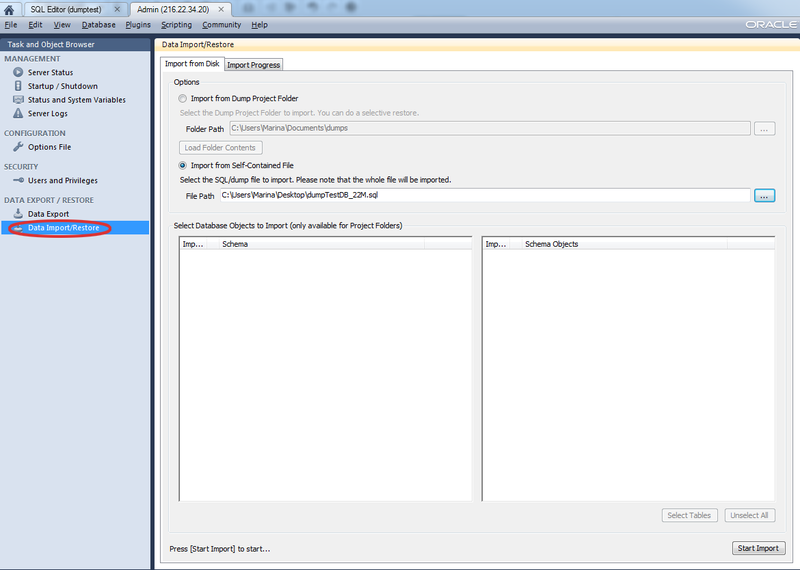 We’ll be publishing instructions on how to import/export dumps files with the other databases in the near future. Stay tuned!